Appearing on The Ellen DeGeneres Show, the singer took part in the game Heads Up! 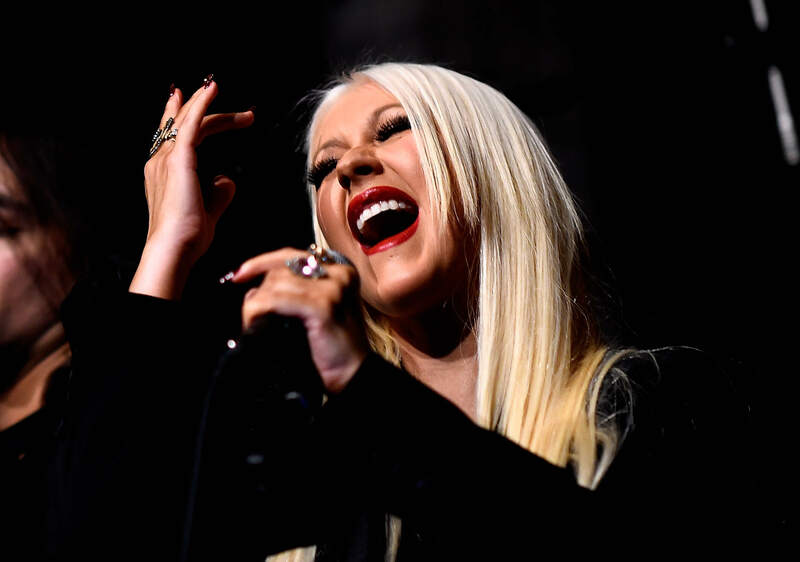 which saw the hostess attempt to guess which singer Christina was copying, reports ENews. 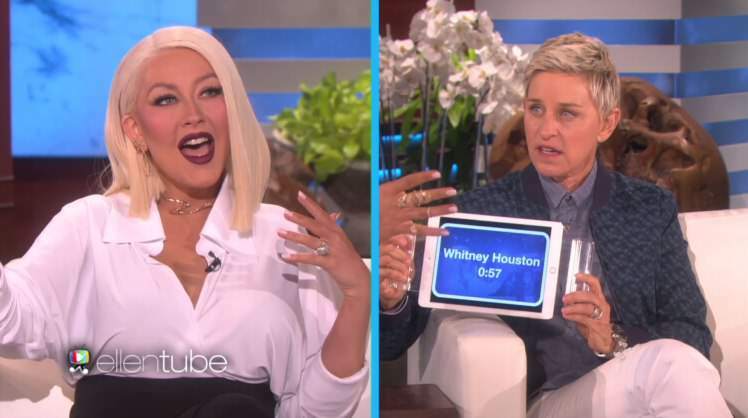 In just sixty seconds the pop star manages to mimic a whole host of performances from Whitney Houston’s I Will Always Love You to Katy Perry’s I Kissed A Girl and Madonna’s Like A Virgin. Christina is currently appearing as a judge on the U.S version of The Voice, and last week it was reported that, at the end of the current series, she will take part in a TV first when she performs with a hologram version of Whitney Houston! A source has now confirmed the rumours are true to Entertainment Tonight after speculation ran rife on social media. I am sworn to secrecy. I can’t say anything, but I’m very excited about the finale. Very exciting things happening. Finally, a reason to watch The Voice!